Posted on August 18, 2017 by Katrina C.
Maple syrup is a hot commodity in our household…my kids seem to put in on nearly everything. That is why our pantry is stocked with a warehouse-sized container to ensure we never run out. However, not all maple syrups are created equal. Unfortunately, we learned this the hard way when one morning my family woke up to piping hot stack of pancakes only to realize that our syrup supply had been depleted. After a desperate plea, my husband ran to the store only to return with a smaller bottle of the same name brand we preferred; yet it had the appearance and consistency of dirty water. My children refused to eat it saying it “just didn’t look right”. I know that they say you can’t judge a book by its cover, but research shows that taste perception and visual appearance go hand in hand.1 In fact, color appearance is the first thing consumers use when choosing a product, so maybe there is more truth to the old adage of “love at first sight”. Truth be told, the less appealing muddy water looking concoction from the smaller store bought bottle really didn’t taste that different, but many consumers pass on foods and beverages simply because they “don’t look right”. Visual preference is actually an internal warning system our body and minds use to protect us from harmful foods, so it is no wonder our purchasing choices are so dependent on visual appeal. That is why manufacturers invest so much time and energy to ensure that colors stay consistent throughout production and from batch to batch. Of course, food products vary greatly in appearance and require different methods for accurate color analysis. Apparently, my family is not alone in our obsession of this sweet sticky goodness that is derived from the maple tree. 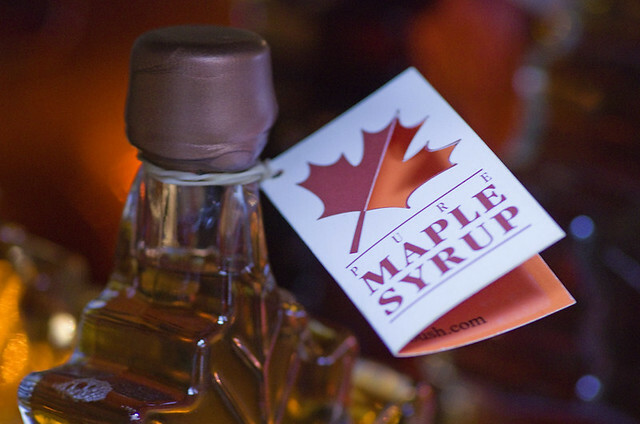 Millions of gallons of maple syrup are produced annually in North America and supply the worldwide demand for this product.2 Though confined to North American production, the maple syrup industry is highly competitive with many various brands on the market today. This makes color quality monitoring and instrumental analysis more important than ever. Referring back to my personal experience above, one may wonder how the same name brand syrup could vary so greatly in appearance and texture. This is a common problem in mass produced food products, where maintaining consistency is crucial to product quality and name brand recognition. In maple syrup production, this can be exceptionally challenging due to the many factors that arise throughout production. Since maple syrups originate from the sap of the maple tree and can vary is sugar content, color also varies depending on how these caramelize during production. That is why it is important to monitor color quality throughout this process to ensure accurate and consistent color outcomes. Spectrophotometers with process automation capabilities allow for in-line process monitoring throughout each stage of production and alert potential color errors. This saves both time and resources, allowing production facilities to make changes in real time and assess color errors at the source. Final product color assessment is also essential to maintaining product quality and consistency. With maple syrup production, caramelization is not the only factor that affects the color outcome. Viscosity also interferes with color perception and can create challenges in accurate sample measurement. Since maple syrup often varies in viscosity, it is important to choose a color measurement tool that addresses these concerns. UV/VIS spectrophotometers are ideal for measuring both liquid and solid color samples. 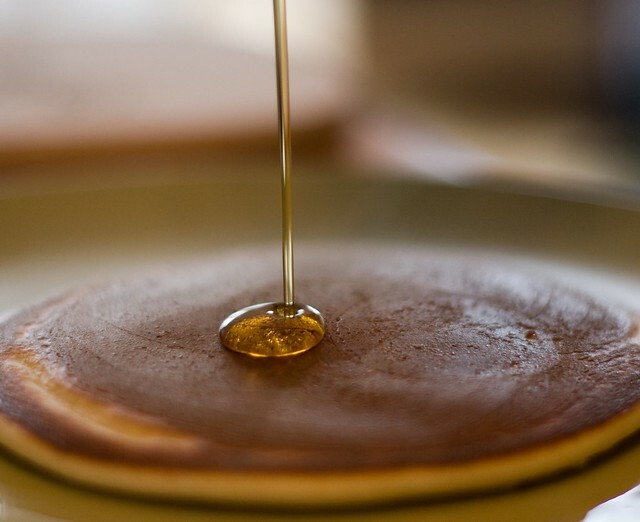 “With a large photometric range…sample dilution is not required for highly absorbing samples such as maple syrup.”3 Using the proper liquid sample holder and developing an average sample reading is a priority when measuring high viscosity sticky substances. HunterLab spectrophotometers offer this and the ability to adapt to larger surface area measurements, making them a versatile tools for the maple syrup industry. HunterLab is a leader in color technology and spectrophotometric instrumentation. With over 6o years of experience in color measurement, we have the foundation and knowledge to address any color measurement need or challenge. We pride ourselves on our customer relations and work hard to form partnerships with our clients in order to develop the highest quality products available. Contact us to find out why top industry leaders choose HunterLab for all their color measurement needs.